We are delighted to welcome actor, playwright and author Joe Cosentino to Omnimystery News today. Joe's debut mystery Paper Doll (Whiskey Creek Press; March 2015 ebook formats) introduces former child star Jana Lane uncovering a web of secrets about everyone she loves, including the person who destroyed her past. We recently had a chance to catch up with Joe to talk more about his work. Omnimystery News: Introduce us to Jana Lane and the other recurring characters in your new series. What is it about them that appeals to you as a writer? Joe Cosentino: I have always been captivated by child stars of the past like Shirley Temple, Hayley Mills, and Patty Duke. Paper Doll is the fictitious story of Jana Lane, America's most famous child star until she was attacked on the studio lot in 1960 at eighteen years old. In 1980 (when most of the story takes place) she is a thirty-eight-year-old beauty and mother of two living in a mansion in picturesque Hudson Valley, New York. Jana's flashbacks from her past turn into murder attempts in her present. Forced to summon up the lost courage she had as a child, Jana visits the California movie studio she once called home. This sends her on a whirlwind of visits with former and current movie studio personnel. It also leads to a romance with the son of her old producer — Rocco Cavoto — the devilishly handsome filmmaker who is planning Jana's comeback both professionally and personally. With Rocco's help, Jana uncovers a web of secrets about everyone she loves, including the person who destroyed her past and threatens to snuff out her future. The local suspects include Jana's down-on-his-luck husband with a dislike for living off the fruits of his wife's young labor, Jana's sister and male friend (who both have eyes for Jana's husband), Jana's show business father, her deranged loyal fan, her agent, and Jana's young Guy Friday who covets her fame and shares an uncanny resemblance to Jana. At the beginning of the first novel, Jana has lost the courage she had as a child. Throughout the novel, she finds the old Jana Lane and recaptures her confidence. I love Jana's determination, wit, and compassion for others. Since she was a child movie star in adventure films, as an adult Jana uses the skills she learned as a child to investigate and solve the mystery of who attacked her then and who is after her now. Along the way, she uncovers amazing secrets about everyone in her life. I also admire Jana's love and devotion for her husband, Brian, while at the same time she finds herself infatuated with her producer, Rocco. Her honesty in this love triangle is humorous and totally realistic. Jana's best friend Jackson was the most fun to write because he is so funny, smart, charming, and devoted to Jana (and her husband). I also like that Jackson is a gay activist back in 1980 when it wasn't so popular. Jana's agent, Simon, is my favorite character for five reasons. He is amazingly resilient, old world Hollywood, incredibly funny, loyal to Jana, and most importantly, I want to play him in the movie version! Jana's sister, Tamara, was hardest to write since, unlike most of the other characters in the book, Tamara does not have a sense of humor. Tamara is a tortured soul with a secret and painful past. She loves her sister yet at the same time envies her. It was difficult for me to get into her mindset, but once I did, I believe I represented her well. OMN: What else have you written? JC: I have written three standalone MM romance novellas. The first, An Infatuation, was released by Dreamspinner Press on February 4th. The Jana Lane MF mystery/romance series from Whiskey Creek Press begins with Paper Doll releasing today. I have written the second novel, Porcelain Doll, and am currently writing the third, Satan Doll. The Nicky and Noah MM mystery/romance/humor series from Lethe Press begins with Drama Queen this summer. I have written the second and third novels, Drama Muscle and Drama Cruise. As in life, some people teach us things during a short period of time then they are out of our lives. However, the great fun in writing a series is you get to go back and visit with old friends. Some have changed, and some have not. The down side is you have to keep meticulous notes on the characters and their surroundings from book to book for continuity. 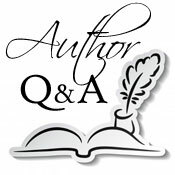 I love writing the series, because I feel as if I am exploring every aspect of the characters and their relationships. It's like watching daytime drama — only the pace is a lot faster! OMN: Are any of the situations in your books based on real events? JC: In the Jana Lane mystery series, since most of Paper Doll takes place in 1980, I was able to incorporate historical events such as the hostage crisis and the beginnings of AIDS, as well as fashion, television programs (like DALLAS), and music from the period (like Donna Summer). As the series progresses, each book moves forward a year or two. So again I was able to use historical content from those periods. I believe it gives the series a sense of nostalgic realism. In the Nicky and Noah mystery series, I am a college theatre professor like Nicky and Noah, so I was able to use a number of personality types and occurrences from my life. However, unlike in Nicky and Noah's college, thankfully nobody has been murdered at my college. OMN: Describe your writing process for us? And where do you usually find yourself writing? JC: As an actor I worked on stage and screen with stars like Bruce Willis, Rosie O'Donnell, Holland Taylor, Jason Robards, and Nathan Lane. It occurred to me that acting is storytelling in the same way that writing is storytelling, so I decided to give writing a try. I knew my first novel, Paper Doll, would be a show business story, since show business has always been such a huge part of my life. As an avid mystery reader, it was clear to me that my novel would be a page-turning murder mystery with clever plot twists, engaging characters, romance, humor, and lots of clues leading to a surprising conclusion. I hope this doesn't sound too odd, but when I create a character, as an actor or as a writer, I close my eyes and envision the character. I write a long character bio about him or her. I hear the voice. It's as if the character is a friend of mine who I converse with frequently. As a writer, I put my characters together and listen to them speak to one another. I become the medium who writes down their conversations. Based on those conversations, it's clear to me which characters are coming and going, and which characters are here to stay. I write an outline but deviate from it constantly since my characters don't always do what I expect them to do. Since I am a college professor and department head, I write in the evenings. I find being a bit tired actually helps me not to censor my thoughts, and I can write more creatively. My philosophy as a writer is, "Make 'em laugh then make 'em cry," so it is not unusual for me to laugh out loud when writing or shed a few tears. My study is a cozy sanctum with a window seat looking out into the woods, a cherry wood desk, cherry wood bookcase, and cherry wood mantel fireplace. JC: They say, "write what you know about." The Jana Lane mystery series is primarily set in the Hudson Valley, upstate New York, where I live. I use real locations that are integral to the storyline. For example, Paper Doll includes a scene in the FDR Historic Home, and Porcelain Doll does the same in the Vanderbilt Historical Mansion. There is a section of Paper Doll, where Jana visits Hollywood. While Jana's film company is fictitious, I was able to incorporate a number of real places into the story like the Hollywood Wax Museum, the Brown Derby, and Mann's Chinese Theatre. These are some of the places I visited on my trip to Hollywood. I think this gives the novels a sense of realism and place. I also really enjoyed creating an entirely fictitious college and community in Vermont for the Nicky and Noah mystery series. Each of the novels takes place in a different season. So I was able to describe the beautiful Vermont college campus in each one. This seems to fit with the light, humorous, and cozy style of the novels. JC: My book reviews have thankfully been quite positive. Before I started writing I read hundreds of mystery novels. I learned a good mystery suspense novel needs careful dropping of clues and red herrings along the way that add up to a perfect climax whereby the various parts equal the whole, rather than the author pulling an ending out of the hat. Also, the "who-done-it" aspect shouldn't be the only element of the book. Strong characters, humor, romance, and twists and turns in the story will keep readers interested until they get to the dynamic conclusion. So I'd like to pass that along to new authors. I'd also like to say, "If one publisher regrets your work, send it to the next." OMN: As an actor, you've probably given some thought as to who would play the key roles if your books were to be adapted for television or film. JC: I believe my mystery novels would make terrific television series. So come on producers! Brooke Shields would be a great Jana Lane. Matt Bomer and Neil Patrick Harris would be a fun Nicky and Noah. There are so many other possible stars as well. But don't forget about me! I want to play Simon Huckby (Jana's agent) in the Jana Lane mystery series and Martin Anderson (the department head) in the Nicky and Noah mystery series. JC: Armistead Maupin has an amazing flair for writing eccentric, loveable characters with engaging and realistic dialogue. I've read all nine "Tales of the City" books by Armistead Maupin, every Agatha Christie novel and short story, and numerous other mystery writers like Greg Herren, Mary Higgins Clark, and G. A. McKevett. My ideal author is someone who sweeps us away and makes us become part of the novel. He/she offers us engaging characters and plotlines that zigzag with numerous surprises leading to a shocking yet totally justified conclusion. Finally, he/she relishes in beautiful, lush locations as she/he takes us through the portal of the book. We should feel sorry the book ended, and crave going back for more in the future. For more information about the author, please visit his website and his author page on Goodreads, or find him on Facebook. Jana Lane was America's most famous child star until she was attacked on the studio lot at eighteen years old. Now a thirty-eight-year-old beauty and mother of two living in a mansion in picturesque Hudson Valley, New York, Jana's flashbacks from her past turn into murder attempts in her present.